Want a very cool tribute to Mario Bros for your desk? Think Geek has a cool growing 1up figure that’s sure to impress your co-workers. 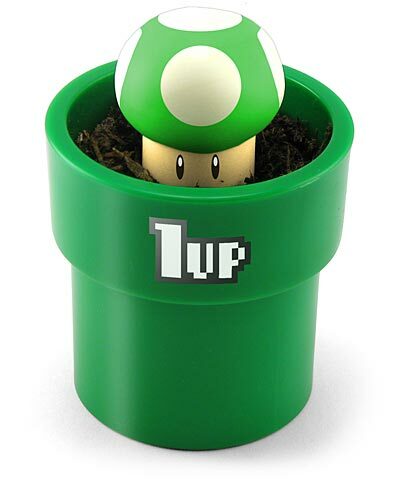 All you have to do is add soil to create the illusion of a growing 1up mushroom. It even comes inside an officially licensed by Nintendo tunnel! Check it out. Metal Gear Solid 4 on Wii? Do you play Naruto Games?